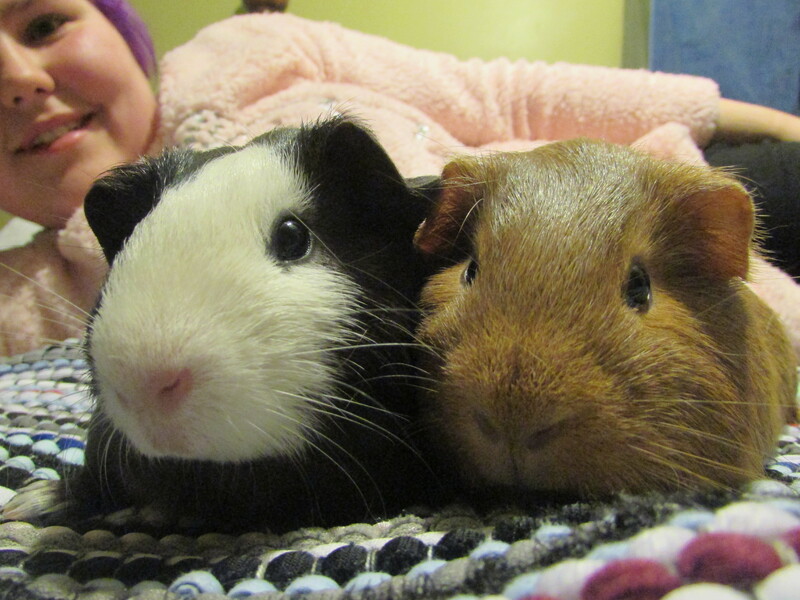 Ymir (female) and Avi (male) are short-haired pigs who are less than a year old. Avi has been neutered. Avi is a complete character, full of personality, and Ymir keeps him in line when necessary! They currently live in a 2×5 C&C crate, 30 inches by 72 inches (six feet long), and we would like them to stay in a crate that is at least that size so they have plenty of room to run. They live on fleece bedding, as do all guinea pigs in rescue.